Sentry Industrial Dry Chemical Extinguishers - SOS Safety International Inc.
SENTRY industrial dry chemical extinguishers are designed for protec­tion of light, ordinary, and extra high hazards. 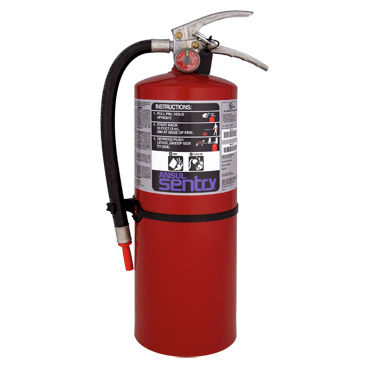 The shells of SENTRY extinguishers are produced by a single-step cold deep-draw process which yields a seamless steel cylinder with an extremely high-tensile strength. Unique pre-treatment of the raw low carbon steel not only consists of a cleaning process, but also applies a special lubricant which helps keep the interior and exterior shell surfaces scratch-free. The collar and specially pre-formed bottom enclosure are MIG welded to produce a smooth, high-integrity weld. Extinguisher shells are 100% factory hydrotested to 600 psi (41.4 bar). Extinguisher shells are painted with a zinc powder primer and a powder red top coat. The powder top coat resists blistering, cracking, fading, and chipping. The powder zinc primer provides additional protection from corrosive atmospheres. Before the extinguisher shells are painted, they are pre-treated using a special iron phosphate bonding process. This enhances the paint adhesion and corrosion resistance. The specially formulated polyester powder paint is electrostatically applied and oven cured to help ensure complete coverage and uniform paint thickness. Easy-grip stainless steel extinguisher handles are designed for maximum portability, allowing operators to fight the fire without removing work gloves. 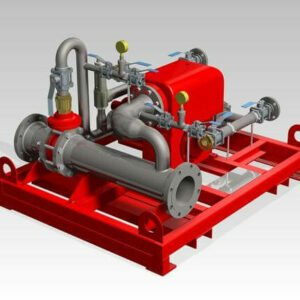 Valve bodies are made from a durable extruded brass alloy which is chrome-plated for additional protection. Completed valve assemblies feature brass valve stems which contain O-Ring and seat material compatible with the agent to provide reliable performance and long life. Rugged all-steel pick-up tubes help provide proper andd ependable agent flow through the valve body. Plated brass hose ferrules are used to resist oxidation. Stainless steel ring pin and chain assemblies are utilized and held in place by a visual seal to help prevent accidental discharges. One piece mylar label with easy-to-read pictograms provides the user with step-by-step operating instructions and the hazard classes for which the extinguisher was designed. Label also contains useful recharge, maintenance, inspection, operating temperature, HMIS and model information. 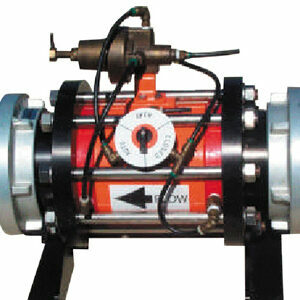 SENTRY extinguishers are vacuum-filled at the factory to precise tolerances. Units are pressurized to 195 psi (13.4 bar), and 100% leak tested utilizing mass spectrometry technology. Injection molded nozzle tips are designed to tight specifications and maximize the suppressing capabilities of the particular model and agent. SENTRY extinguishers are shipped from the factory in individual recyclable corrugated cardboard cartons that are designed and field tested to help assure your extinguishers arrive undamaged and ready for operation. The glued one-piece cartons have carrying handles and a pressure gauge inspection port. The cartons of SENTRY extinguishers are properly labeled according to the latest DOT regulations for ease of shipping in the field. Dry chemical suppressing agents are manufactured from high quality raw materials and are carefully blended to meet stringent performance specifications. These agents are then tested to be free-flowing, water repellent and electrically nonconductive. As a final quality control step, SENTRY extinguishers are randomly sampled for performance testing which includes weight percent discharge and discharge times.